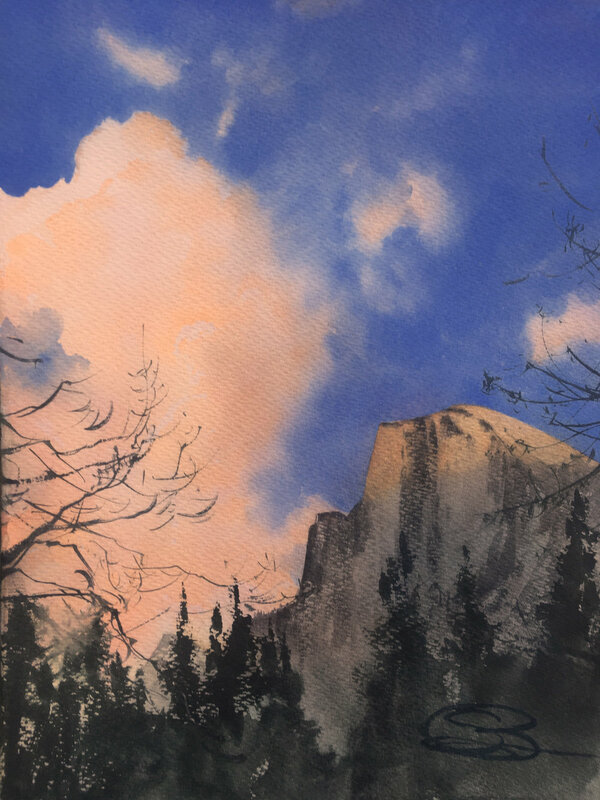 This is a quick post to let folks know that I’m the guest artist this month at the California Watercolor Association’s meeting on Wednesday, November 21st! Considering doing this painting, but we’ll see… Gotta squeeze it into an hour and fifteen! The meeting is held in Walnut Creek and starts at 730. My demo will start at 800 and go to around 915-930, with a break in the middle. I have a stock of framed paintings, so I’ll be bringing them in for folks to check out in person and perhaps buy (in anticipation of X-Mas?!?). At the very least, it should be fun and educational, and it’s definitely very exciting to get to demo at the CWA. I’ve seen some great artists up there in front, so it’s a very cool thing to be asked to do the same. Hope I don’t screw it up! LOL! :P For those of you who are local, I hope to see you there!